Can Spitfires sink the Fleet? Just three days after a 0-5 win at Staines Town,The Spitfires lost 0-3 home to Farnborough on Tuesday which dropped them into 8th place in the Blue Square Bet South. However Eastleigh are still only three points from the play-offs with one game in hand on every team above. Ian Baird’s Spitfires now face 19th placed Thurrock at the Silverlake. The home side are a massive 27 points ahead of relegation threatened Thurrock although the last time the two teams met was on the 29 January when Eastleigh were on the wrong side of a 2-1 result. Jamie Slabber opened the scoring for The Spitfires in 11th minute, after Tony Taggart crossed the ball in from a corner for Chris Holland to head down the cross for Slabber to tuck the ball under Joe Woolley to score. But that lead only lasted 22 minutes after Kenny Clarke equalised for The Fleet from a cross by former Eastleigh loan player Matt Bodkin. Chris Holland then made a blatant hand ball to concede a penalty which Jamie Richards duly converted to end Eastleigh’s six match league unbeaten run. Thurrock’s last league game was at home to 12th placed Weston-Super-Mare.The Fleet won 3-0 with Lee Boylan scoring a hat-trick on his debut for Thurrock. The former West Ham United 32 year old striker scored a header,lobbed effort and finished with another header to seal his hat-trick. The Spitfires have won two,lost three and have drew one out of their last six games,Thurrock on the other hand have won two,lost two and have drew two out of their last six games. 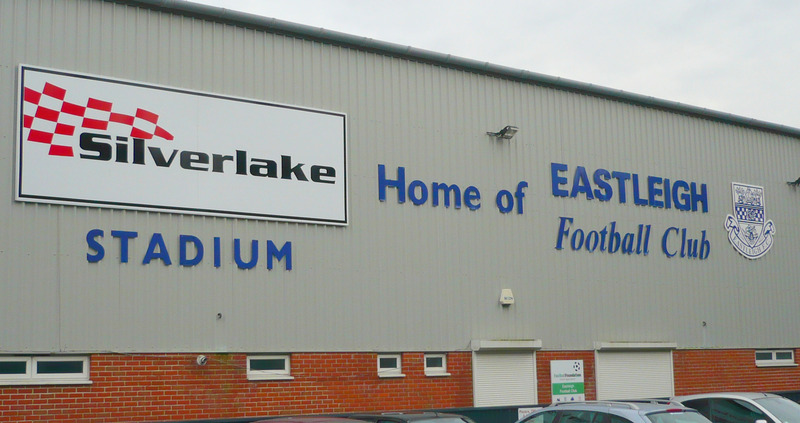 Eastleigh have kept six clean sheets (two of them being at home) and have failed to score four times (three of them being at home) out of their last twenty games. Thurrock have kept four clean sheers (three of them being away) and have failed to score five times (three of them being away) in their last twenty games. Thurrock have only won three games away in the league this season and The Spitfires have won ten times this season at home.The last time these two teams met at The Silverlake Stadium would give any Eastleigh fan nightmare. The Spitfires were on the wrong side of a 2-8 result. The Fleet were 0-6 up at half time with Leon Mckenzie scoring a hat-trick in 37 minutes and David Bryant scoring two.The second half however was a different story with Peter Adeniyi and Richard Gillespie scoring for The Spitfires. Matt Bodkin scored two goals for The Fleet to win 2-8 with Sky Sports News having to spell out “eight” just in case people thought it was a mistake!